The frequency of eating fish and seafood has grown worldwide due to the rising interest in healthy living and the desire to add more variety to our diets. Simply Fish explores a wide range of recipes, techniques, and secrets to delivering a restaurant-quality experience in your own home, simply through cooking fish! Chef Matthew Dolan offers his own collection of stories and delicious fish and seafood recipes for a great variety of appetizers, main courses, sauces, side dishes, and dessertseven adding a scattering of wine pairing suggestions along the way. 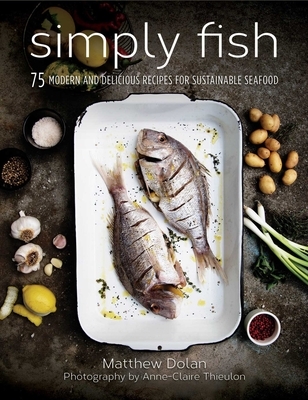 In Simply Fish, you will learn how to cook healthy and delicious fish for every season, from casual and quick get-togethers to the adventurous larger gatherings. Matthew Dolan is an established chef and restaurant owner who trained at the Culinary Institute of America in New York. His restaurant, Twenty Five Lusk, was named Esquire Magazine's Best New Restaurant and Open Table Diners Choice Top Hot Spot Restaurants in the United States since its opening in 2010. He resides in San Francisco, California.